The debate over paying college athletes has always had too many dead ends to ever really get anywhere. How do you do it? Who pays the salaries? Which players get paid, and how much? Is there some kind of salary cap? 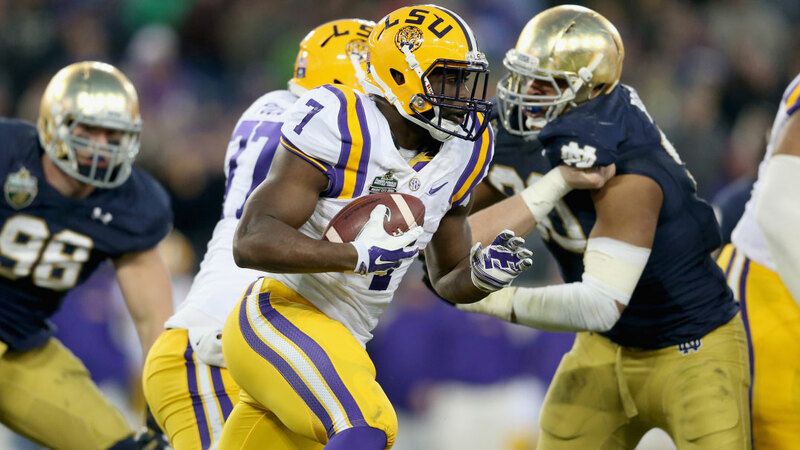 Do conferences secede from the NCAA? How many athletic programs would go under if they suddenly had to pay an entire roster of football players? This is the problem. Any one of those questions is knotty enough to stall any real change. That’s not to say there hasn’t been progress. We still get the occasional story like the president of Notre Dame threatening to leave the NCAA if players get paid, but in general, attitudes have evolved. Somewhere between outrage at Ohio State players exchanging signed memorabilia for tattoos and apathy in the face of Johnny Manziel (allegedly) selling autographs, most reasonable people probably decided college players deserve to make money somehow. The idea that used to feel radical is now almost redundant. Of course they should be getting paid. So: Here is a tremendous Nike commercial that debuted this weekend. That commercial is how the world can pay college athletes. We don’t have to make this too complicated, or answer 10 questions, or call for a revolution to overthrow all the people running college sports. Just let Nike do it. Let Under Armour do it — and Adidas, and anyone else who wants to pay college athletes to be in their commercials, or make local appearances, or sign autographs, or license their name to be included in the greatest sports video game of all time. It’s the one change that’s been obvious this whole time, and we’re getting closer. Last Friday afternoon, with most of the world checked out for the week, the Pac-12 almost got it right. The conference announced a proposal that would allow athletes the chance to make money off their names and likenesses. As the Associated Press reported, it will be voted on by five major conferences at the NCAA convention in January. This is incredible, I thought when I saw the headline. It could change college sports forever, without really changing much at all. This is the dream. Then a beat. Why isn’t this a bigger deal? Pac-12 deputy commissioner Jamie Zaninovich said athletes would be able to promote themselves without identifying themselves as an athlete. … He said the idea is not to allow athletes to be paid off their athletic success, such as for autographs. He compared this proposal to the NCAA rule change years ago that allows athletes to have jobs if they demonstrate they’re actually performing work and getting paid at the going rate. College athletes would be able to make money off their name (good start), provided nobody knows they’re a college athlete (what? ), and that it has nothing to do with their athletic success (…). It’s the kind of tortured reasoning that’s required to maintain a system that defies logic. But it’s also a good excuse to talk about how this perpetual argument over the future of college sports will eventually end. The Olympics had a similar problem with amateurism until about 30 years ago, when the international community decided it didn’t make sense to demand that all the best athletes in the world take a vow of poverty. Ever since, the most successful Olympians in the world make money from Wheaties, Visa, Nike, and everyone else who wants to co-opt their feel-good story. College athletes could cash in the same way. Nobody in the NCAA has to write new rules; just repeal the ones that never made sense. 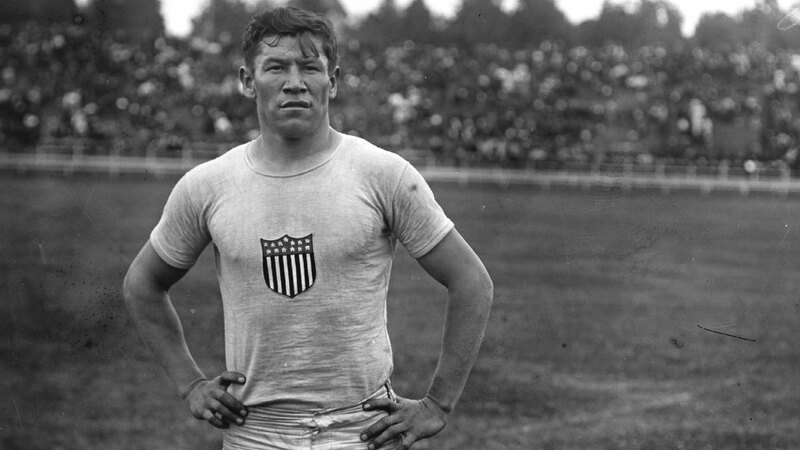 That “amateur code” is how the International Olympic Committee justified moves like stripping gold medals from one of the greatest athletes of all time, Jim Thorpe, when it was revealed that he’d played two summers of semipro baseball before the 1912 Olympics. One hundred years later, the rules are different, and the Olympics have only gotten better. College sports will eventually live a similar story. Even now, reading about how Thorpe lost his gold medals really isn’t that far removed from reading about Reggie Bush losing his Heisman. They took his trophy away for what? Because he was living in someone else’s house? Getting $1,500 a week? You can argue all day about whether it’s viable for any school to put an entire roster of athletes on its payroll, but there’s plenty of other money out there, and denying stars a chance to capitalize on that feels, at best, counterproductive. It’s the sort of thing that’s so clearly unfair it could absolutely lead to a lawsuit that brings down everything. And that’s why it makes sense for conferences to make concessions. Allowing players to make money on their own gives college sports the best chance of surviving in the 21st century. For one thing, it alleviates the pressure on schools to pay players themselves. You don’t have to buy in when people crow about the value of a scholarship, but when administrators say that most athletic departments can’t afford to pay a salary to 80 or 90 college football players while maintaining all the other sports, it’s generally true. Likewise, it’s bad enough that publicly funded state schools spend millions of dollars wooing coaches, but this could get awfully unhealthy if public schools are suddenly competing to pay players, too. It’s also fair to point out that most major college athletes aren’t the ones generating the revenue swirling around college sports. The same way people watch every Olympics regardless of who’s swimming, LSU football will fill Tiger Stadium no matter who’s playing. These are the practical arguments against turning the NCAA into a free-market economy overnight, and some of them make a decent amount of sense. But none of that means Leonard Fournette shouldn’t be allowed to sign a shoe deal, or make a few grand doing an ad for a local car dealership. If Les Miles can charge tens of thousands of dollars for speaking engagements all summer — side note: I would pay anything to have Les Miles come talk to Grantland — there’s no reason his players should be banned from doing the same. At perennially dominant programs (Oregon and Alabama football, Duke basketball, etc. ), brands like Nike or Adidas could pay stipends to every starter, and it could be negotiated into the overall licensing fee they give to schools. At smaller schools, it would be closer to the status quo, where most athletes play for little more than a scholarship. In other words, most of college sports would look the same. Powerhouses would have a massive recruiting advantage, but that’s always been true. Upsets would still shock the world when those advantages are rendered irrelevant. Sponsors would just make the hierarchy more official, and something closer to fair for the players. If anyone doubts that brands would be interested in funding this reality, shoe companies are currently doing battle in the shadows and flying high school stars to the Bahamas, reminding the world that the interest is already there. Going to school would continue to be part of the job for star athletes in college, but it’s never been the no. 1 priority, and for the best college athletes in the country, it probably shouldn’t be. There’s too much life-changing money available to worry about protecting the pretense that classes matter most. Last year, Rand Getlin and Dan Wetzel of Yahoo had a great story on Manziel and the $10 million or so in market value he left on the table at Texas A&M. That’s money that will never be claimed, and had it been available, his former manager says it could have kept him in college another year, which would have meant even more money for Texas A&M, too. But it wasn’t available, and so everyone loses, and whether it was Todd Gurley last year or Maurice Clarett 12 years ago, it’s become fairly common for the current rules to cost everyone. That’s why the Pac-12 proposal is important. Even mentioning “likenesses” in the same press release as “revenue” is a good start. From there, it’s really not that hard to imagine a future in which current Oregon players are in an Animal House commercial next to Dan Fouts, Under Armour is paying big money to schools and a handful of stars to steal market share, and we’re all playing NCAA Football every summer while players around the country collect a check in return. It’s the idea that makes the most sense. Allowing stars to hire representation and negotiate deals themselves could solve so much about the college sports economy that currently looks unfair.